PM May chose the Mail on Sunday (but of course she did) to deliver a seething Brexit ultimatum to her own Party Ministers and MPs, still to be sold on the benefits of her masterful new Brexit 'All Bells And Whistles Max Fac' Plan. 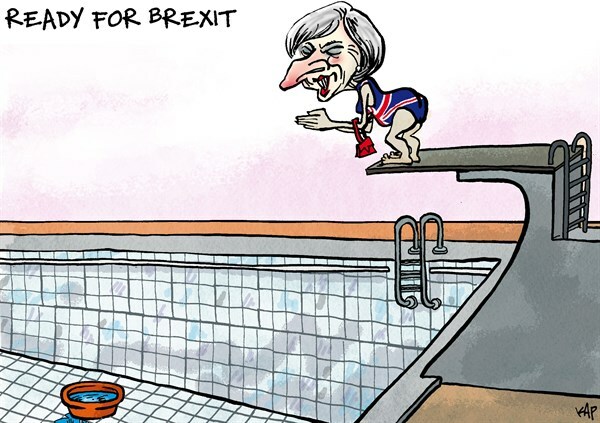 It's her 'Third Way Plan' on Brexit or No Brexit At All. Hard-line Brexiteers, she says, have yet to offer a “workable alternative” to her proposals. It's all very John Major 'Back Me or Sack Me' for those of you mature enough in years to remember that.